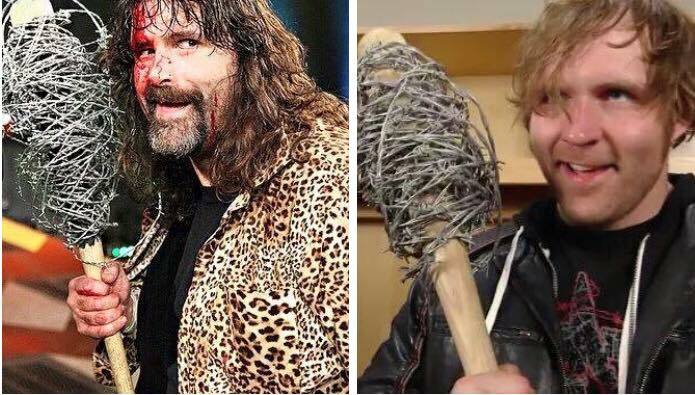 Dean Ambrose and Mick Foley are different in many ways, including skill set in the ring. However, at the same time, both wrestlers carry that persona of the unpredictable and the reckless. Well, Ambrose tends to perform with controlled recklessness due to the safety precautions WWE has installed since Foley’s in-ring career ended, but you get the point. If this was an unsanctioned dream match (which it is! ), these two would be covered from head to toe with blood and thumbtacks! The road Ambrose has taken to this point is perplexing, some would say. When he first arrived on the scene you had a lot of wrestling fans saying, “this guy is going to be one of the top heels in the company". If you discount his time with the Shield, which I do because it was a collaborative effort, then we’ve yet to see Ambrose get that opportunity. For the past year, Ambrose has gotten over as one of the top faces, albeit not really getting rewarded as one. At one point, it might have been impossible to turn him into that HEEL everyone expected. The way I see it, most of the bloom is definitely off of the “face” rose and an Ambrose heel turn could be on the horizon. Especially if he forges a friendship with a Sami Zayn, the ultimate fan favorite, then stabs him in the back. That’s how I would set it up. 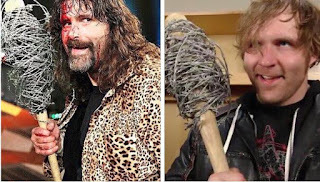 I’m bringing up the idea of Ambrose as a heel because if you’re going to make this work to its full potential, you’ve gotta run with Foley as a face. Honestly, I can’t even think back to a heel Foley that I can take serious. Mankind was demented yet comical. Give me Foley during the Attitude Era, getting used by Mr. McMahon and the Corporation, along with his feuds with the Rock. The empty arena brawl on Super Bowl Sunday was certainly not a classic, but it was one of the most entertaining spots in WWE history, in my opinion. And Foley surprised a lot of people when he started cutting promos. His promos were always filled with his subtle humor, but they also carried meaning. 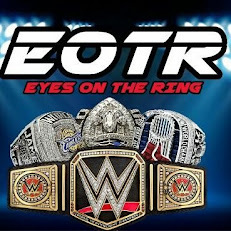 The three top reasons I watched RAW and Smackdown during the Attitude Era were: 1. Stone Cold Steve Austin 2. The Rock 3. Mick Foley’s promos. So, Foley and Ambrose. Ambrose and Foley. We’ll drop the PG rating to make this match work. Let's stick these two in Hell in A Cell. And I’m not talking about the hokey “Asylum Match”, I’m talking fencing all the way around and above, and maybe a few “toys” under the ring. In this fantasy, Foley’s as spry as a teenage track star. If we went with modern day Foley, we’d probably see just some punches and a sock to the throat. But this Foley, well, he’s jumping off the ring apron just as much as he did during the glory days of ECW. And unfortunately, I’ve let down anyone who actually reads this each week with my limited, if nonexistent, knowledge of wrestling outside of the WWE, because I know very little about Ambrose pre-WWE. Pretty much, “a lot of blood” is the only thing I’ve ever heard about Ambrose’s independent career. Luckily, that fits perfect in this match!